Rated 198 points - posted 9 years ago by BrendaKaye in category Music. Some musicals work regardless to cast. My Fair Lady is not one of those musicals. With a great cast and pit orchestra it is a great musical. Some great songs, yes. But there are also long, slow drawn out scenes. Funny, bitingly ironic, and yet somehow also quite romantically moving. The music is beautiful, the lyrics masterfully witty. On top of all that, the original characterization by Rex Harrison was one of the greatest in theater history. PYGMALIAN wow that was a fantastic movie and Broadway show. Even the book was fantastic. LOVED this SHOW! Too many slow scenes for my taste. The finale / bows for this show goes on forever, and ever. On the contrary, Music and the Mirror has one of the greatest orchestral / dance breaks ever arranged for theatre. Love this show, especially the music. Just so y'all know, Les Miserables is not technically a Broadway musical so that may be why it isn't here. WHAT!!! Les Miserables is the most amazing play that I have ever seen and been a part of in my entire life. It changed my life. Man, this show is so acclaimed, but honestly, I HATED IT! Sweeney Todd is the best show ever! Sondheim forever! 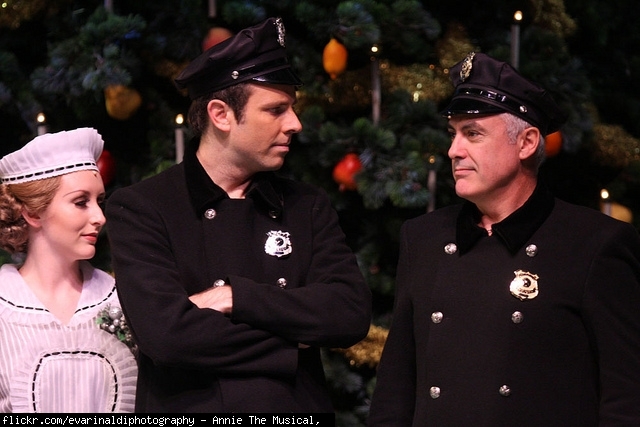 You needed to see this show on Broadway or at least the official road show. The final scene was worth the price of admission. Actors in rehersal the curtain comes down then goes up a minute later and everyone is on stage in full show dress. It was the single best scene I have ever seen. Since the choreography is copy righted most presentations must use another approach. Um, I like this show, but how in the world did it get to #1?! how the hell did it get all the way up here?!?! that is not just over-rated, thats absurd!! The cheorography in ACL was outstanding, a lasting tribute to Michael Bennett's genius and work with dancers; the original was better than the last revival and had more heart, Donna McKechnie was great as the original Cassie! Huh? Every song was a showstopper! The revival was great! The movie changed the show too much, but this is about Broadway musicals and this one is amazing. The score is excellent, but the book is full of flaws. And culturally, Company is feeling increasingly dated. Having this as # 1 is laughable. Many other shows were so much better and had so much more influence on other composers and performers and history. 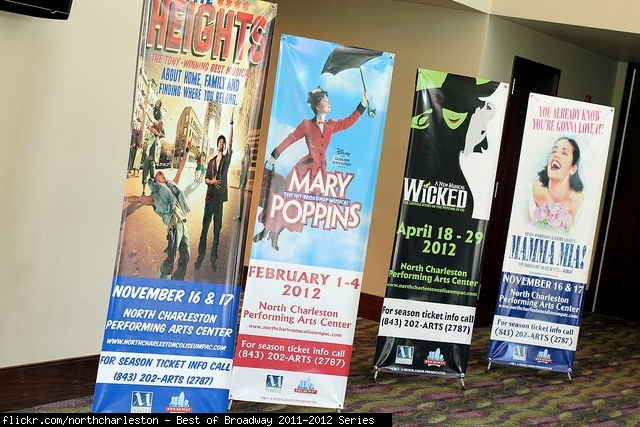 Ex; Oklahoma, Show Boat, West Side Story, My Fair Lady, Gypsy. Way to high. It's good, but not near number 1. So glad you agree! It's my #1 also. So relatable. So real. Live everything about it. Good. But not worthy of #1.
sophisticated, human theatre. deserves every merit it gets and more. god bless stephen sondheim. More like #12.. West Side Story and Les Mis. Should be higher. SO clever and SO real. What a smart show! Who keeps knocking the greats? This is Sondheim's best and Sondheim has been America's best for a half century. music and lyrics will stand the test of time, the book was so-so, was bobby gay? Love this show. Dark and beautiful all rolled into one! In my top 5 musicals of all time!! This one is halarious! It feels so random, but there are really deep-rooted feelings and morals in the story. Liza Minelli is uniquely incredible!! This musical definately deserves it's place on this list! This is amazing musical . I love all the songs! Gilbert and Sullivan are the British fathers of the American Theatre and this Pirates might be there best. I am sorry if I have got to say this but it would not be fair to treat the G&S operettas as Broadway musicals. Yes I know these operettas influenced American musical theatre. However it would be reductionist to place the origins of American musical theatre squarely at the feet of the G&S operetta corpus. Other operettas such as The Merry Widow and Die Fledermaus influenced musical theatre today. And let's not forget zarazuelas. good but definitely not top ten worthy especially #2! Penzance was great, but I personally preferred The Mikado. The music was more memorable, the plot more enthralling, and the characters more sentimental. For over 100 years, no one has come up with a better musical. A great musical that laid the foundation for most musicals that have come after it. The story is straightforward but interesting and the music is beautiful and memorable. Very difficult to undetstand... music is interesting, but there's too much of it. Disappointing. Perhaps one of the best broadway scores ever, brassy (Styne) with Sondheim lyrics to boot. Each Mama Rose has carved out her own mark in the lead role (Merman, Lansbury, Daly, Peters and LuPone). The overture to this show gives me goosebumps. Every. Single. Time. My # 3 of all time. I saw it with every leading lady whom did it including bette Midler on TV but ETHEL MERMAN was the most exciting. That voice, without a microphone, was unmistakeable and a gift we haven't seen since. Romeo and Juliet put to the timeless score of Leonard Bernstein, the pointed lyrics of Stephen Sondheim and the energetic choreography of Jerome Robbins. With all due respect to other musicals, this is simply the best of all time. The UNDISPUTED # 1 Broadway musical of all time. What music! What lyrics! Beautiful story! I have been going to shows for 7 decades and have seen so many great ones. How is this only #7? Top 3 at worst. WSS is the best musical ever. Case closed end of story! The music is not only the greatest score in Broadway history but some of the greatest music of all time in any genre. That only puts it in an category by itself. LOVED IT and Jerome Robbins was from Weehawken just like me. This is by far the most spectacular musical ever made!! Bernstein's finest contribution to music world! I thought this was a bit boring. I mean, I appreaciate it, for the work put in and music written, but the classical ballet street thugs was.. cheesy. I was also surprised (not in a good way) at the ending which was different from Romeo and Juliet (the play it is based off). Why does it say best of all time, when it's ranked 9? Leonard Bernstein is truely one of the greatest composers of Musical Theatre of all time. One of teh best scores there is (joint first with Les mis). I loved this movie since the age of 7. ( even though I didn't know much what it was about though..) It is AMAZING!!!!!! Based on a novel by the same name by Victor Hugo, this musical has had the longest innings in the history of theatre. Unbelievably great adaption of one of the greatest stories every written. Sophisticated and entertaining. the fact that it is lower than wicked makes me want to throw up. Les mis should be number one. It is such a beautiful story with an amazing score. Deserves to be higher than 11. Incredible storyline, fantastic songs and music. Should be much higher than 12. The music is wonderful, the story is moving. What more do you want? Average. Good in some parts, nonsense in others. This musical ceratinly has one of the best storylines a musical could ever offer. It deserves to be in the top five. It's popular for a very good reason. WHAT??????? i think you got 7 mixed up with 1!!! its so powerful! everyones entiteld to their own opinion but really?? seven?????? Love it and the new staging is amazing! top three Les Mis, Phantom, Westside Story. Les Mis is awesome. Les Mis should be number one! There has never been a better musical! It's a time-less story that everyone can relate to at some point. The themes of Les Mis are always relevant. It is captivation and beautiful. I just recently saw the film version of Les Miserables and really enjoyed it. I went into the theater knowing close to nothing about the story. I fond the songs wonderfully written and have since watched some of the concert versions on You Tube. Beautiful music and a captivating story!! This should be #1 this musicle is genius. So many amazing songs. I LOVE this musicle! Take my hand I'll lead you to salvation take my love for love is everlasting and remember the truth that once was spoken to love another person is to see the face of God...... This deserves to be #1 I was in the ensemble when my school did this play last year. It was so amazing but it was such a challenge and took so much work.. I don't understan why you would put this as #32. I'm just guessing that who ever rated these musicals just either doesn't have taste or doesn't know what a musical truly is. No. Les Mis is sooo much better than 32. It is incredible yet rated allllll the way down here!!! And WHERE THE CRAP IS PHANTOM OF THE OPERA?!? That was the one musical that got me singing when I was it on Broadway many years ago and has impacted my life so much more than all of these combined! it is an incredible musical that has lasted since 1988 and yet it's not on here! Definitely should be higher than 32! Top Ten all the way! The music is timeless, priceless and full of it! It's better than the Music Man and Guys and Dolls put together! #32??? My #1 if I had a vote. Have seen most of the list but have never cried while watching a musical like I did with Les Miserables! So beautiful. BEST MUSICAL EVER!!! I loved it sooooooooooo much the songs are sooo good! Les Miz is the best musical ever! Incredible moving story by Victor Hugo. Fantastic music that will bring you to tears over and over again. Book of Mormon is a distant second. The rest are a 1000 miles away. Best of all time! Just saw Wicked which was really good, but story just does not compare. Les miserables changed my life! It had a lot more of an influence on me than all of the musicals before it combined! What about phantom and Mary poppins too! Les MIserables has a fantastic score and an amazing story. No doubt it should be in the top yen. Personally it is my second favorite musical. I love the story and the songs but, the songs run into each other you forget where you are. I loved the 25th anniversary show it was spectacular!!! Why isn't this higher on the list?? This is the greatest musical of all time: Music, story, characters, message are all exceptional. Incredible show, the fact that it is below wicked makes me want to vomit. This is the best musical ever! Every time I watch Come to me or Do you hear the people sing I almost start to cry. I'm also reading the book now and when you read the first 2 hundred pages the story becames really interesting. I also understand musical better now. This is the best musical ever. It shouls be NUMBER 1! Why is it so low?! It has so touching story and most incredible songs. Number 42, seriously? Seriously?!?! Number 33? I'm really disappointed in whoever wrote this list. Phantom at #238, Les Mis here...those two (and other masterpieces) should be WAY higher up on the list. THIS IS THE BEST MUSICAL EVER!!!!!!! GORGEOUS MUSIC, PERFECT STORY!!!!!!!!! SHOULD BE #1!!!!!! "THE BEST MUSICAL OF ALL TIME" PERIOD. This Musical should be number 1!! It's just unfortunate that so many snob les mis because of it's popularity when it is truly one of the greatest shows of all time. best musical eve in my opinion. i played this at school, and even the condensed school version is amazingly intricate and detailled. and the music is gorgeous. why isnt this number 1? who made this thing????? ONE OF THE BEST!!!!! how could you put this at 35 and i dont care how 'inaccurate' it is it is still one of the best things to come to music for over 50 years thank you very much! Way too dark to be at the top of the list. And way too inaccurate historically to be taken as seriously as some do. OI! THIS SHOULD BE NUMBER ONE! There's no way Annie can be #5, by the way. Good lead actors are not the best Litmus Test for musicals. And, emotional-appeal-orphan-story doesn't possibly stand up to the supreme conflict plot in Les Mis. I'm completely confused why this isn't at least in the tope five. And where the hell is Phantom? A good musical, the most overrated of the good musicals ever. This is definitely one of the most overrated musicals of all time. It didn't even win the best musical Tony award. Granted, its a good show, but so many shows are better. Every single live performance I watched of Idina Menzel performing for this show, she was flat at some point or she warbled. She is a great actress, and I think that's why she won a Tony. Rent kind of ruined her voice in my opinion. Wicked has such a cult following that nobody will ever listen...but it truly does not deserve to be this high...in my opinion, Pippin was a much more sophisticated and entertaining Stephen Schwartz musical than Wicked. While this musical is definately overated, it has a good reason for its strong backng. It's usually a starter musical, and its what gets people into musical theatre in the first place. It has two great lead singers, and a deeply moving plot. I don't think it deserves number one, but it does deserve o be and stay in the top ten. I recently had the pleasure of seeing Wicked for the first time live, and it is definitely my favorite show ever. Granted it was my first broadway calaber show Ive seen, but it stregthened my desire to become a member of the theater community :) . Regardless of whether that makes it the best musical of all time, here's what I saw. I saw a cast that was spectacular, sets and costumes that were amazing, a book that made cry, think, and laugh, and a score that, imo, will stand the test of time. All this adds up to a musical that truly defies gravity, no pun intended ;) . Really overrated. A good musical in its own right, but it really does not deserve a placing this high. Wicked truly is one of the greatest to grace the Broadway stage and decades after it opened it will still be reverierd as one of the best. A great deal of that praise should go to the chemistry and vocal abities of Idina Menzel and Christin Chenowith. And, if nothing else it was truly the first vehicle to showcase the great talent of Idena Menzel. Not since Strieand has there been such star quality and a voice to raise the rafters in quite the same way as Idena Menzel. She is a unique just as Steisand was on Broadway and still is today off Broadway. Idena Menzel is Musical Theater manna from heaven. Michael . Truly a phenomenal show to behold on broadway! It may sound horribly cliched, but Wicked truly shows the meaning of the phrase that was Wicked! I AM NOT SAYING ITS A BAD SHOW... BUT. It is not one of the best musicals of all time. Wicked has done nothing sugnificant for the world of theater but giving some new found interest in musicals to novice theater goers. It is a great starter musical but other than that it is not as significant as a show like the Producers and Oklahoma. Omg omg omg omg favourite show Of ALL time! Wicked is soooooo good. If you are looking at this list for a suggestion of a show to see this is the first one you should see. It is so good and full of amazing music! To the guy that said "The Hunchback of Notre Dame sucked"... Yeah the disney movie did but try watching Notre Dame De Paris, there are english versions of it on youtube. I have tomention the AMAZING costumes and character portrayal. And who could forget song like "no one morns the wicked" "defying gravity" and "one short day". Overall this deserves to be up there with the lion king, phantom, les miserables and my fair lady. I love this musical. It's true that it is a little over hyped, but it is still pretty great, and the songs are fantastic! Especially when done by the original cast featuring Chenoweth and Menzel. I've only ever seen it once, but I've listened to the soundtrack a thousand times. Looking at how much a show grossed is not a good measure. When I saw Chorus Line on Broadway the top ticket was $25. Today it would be $125 and in ten years it will be $200. So to you, the Hunchback of Notre Dame sucked, The prince of Egypt sucked, Godspell sucked, Pocahontas sucked, and Pippin sucked? Just checking. All i know is that Wicked is the 3rd highest grossing musical ever, behind Lion King and Phantom, and its run isnt even over yet. Also Wicked is one of the top 15 longest running musicals of all time and again, its run on Broadway isnt even close to being over. Everything that Schwartz ever touched has been terrible. Wicked is no exception. This musical should be in top ten on this list! It has a good story and very memorable songs . Mediocre music? All you need to do is mention defying gravity and people go nuts! Not to mention For Good, No Good Deed, As long as your Mine, and No one mourns the Wicked! And in my opinion, Wicked has one of the most compeling story lines of any musical. Its one tht make you think, makes you ponder what is good and what is evil. Should be so much higher! More directed for younger girls, but still a great one! Mediocre music. Week story line that has many errors in trying to go match with Wizard of Oz. After being down around #50 where it belongs for years, it has had a mediocre rise, as if one person is spending all of their time voting for it. This is by far the most overrated musical on the list. This is most certainly more interesting than number 14. Wicked should be in the top 10 at least, along with the Lion King, Phantom, Rent, and Les Miserables. It's my favorite musical of all time, should be higher on the list. Maybe #3? And Phantom should be up there too. Very pop musical-like, but not a quality music overall. It will never be a classic. What are you talking about! It is an Amazing! It has an amazing score tht makes you laugh, cry, and amazes you with inspirational power! In short everything about this musical amkes it a top ten player. If it wasn't it wouldn't bee CURRENTly running its 8th year on Broadway! Dreadful musical. Cool sets and all - but that's it. Horrible songs, confused book, icky orchestrations. OK if you are a 14 year old girl, I guess. best show i've ever seen in my life. the graphics were amazing, such an amazing show, and you can compare it with the wizard of oz and it just all makes sense. Based on the novel by Gaston Leroux, this Broadway musical by Andrew Lloyd Webberis is the winner of seven 1988 Tony Awards. Ok songs, amazing special effects. This musical was what got me into musicals. I can't get the songs out of my head. 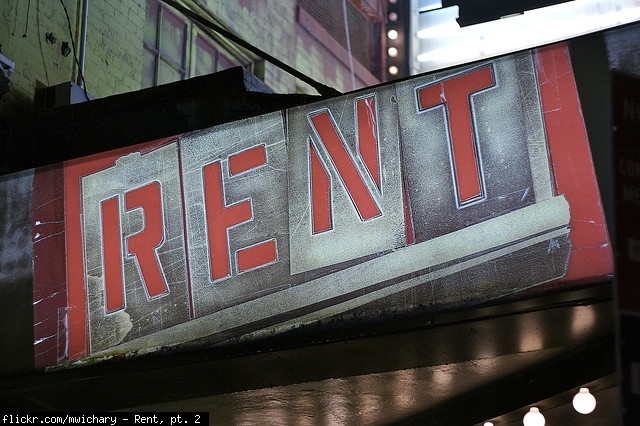 It's become a staple in musical theatre history, and is deserving of all its fans. Each number is so well done, and the visuals and voices and story and everything fit together ggreatly. It isn't just one thing carrying this musical; each element combines with all the others to create a truly austounding expirience. Great musicals first and foremost should have great songs. No musicals have more great songs than South Pacific and Mamma Mia. Phantom is a close third. Where is Showboat? Not even in the top 100. Half the world is tone deaf and too many of them are voting for this list. The best musical ever. I would love to see it over and over again. It will always be my number one. 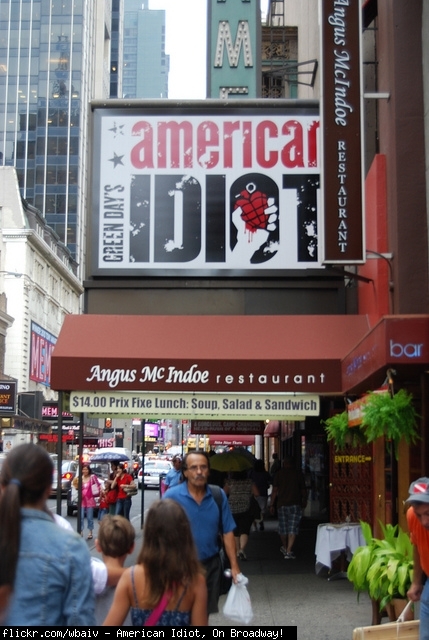 Saw it on Broadway and on tour. Yawn. Overblown and doesn't hold up well. Time to close this mess. Okay, so some musical like Kiss me Kate is beating out The Phantom of the Opera? I'd take Christine over Kate or any other female lead. I cry when I see this musical and I shiver when the Phantom comes on. How is a musical so flawless so badly rated? This is a crime to the musical genre! How could anyone give such an insult to this glimmering star in the space of musicals? How come this is not number 1? You're honestly going to tell me that Wicked beat out both Les Miserables /and/ Phantom of the Opera, and other renowned musicals besides? ... ... Are you actually being serious right now? I hate the public. Really?? 34?!? This deserves number 1 then Les Mis then Lion King and then go on with the list. Phantom is the best show i have ever seen and has lasted since 1988 and still going strong. BOOO YOU, WRITER!!!! IT WAS SO BEAUTIFUL THAT I CRIED!!!! The phantom of the opera was beautiful, this should be number 1 and Les Miserables number 2. Should be at the top 5, one of the most moving musicals. One of Andrew's best musicals and one of the best the world has ever seen. I love phantom. I read the book, an original screnplay, I bought souvenir book when I was in London, I watched the show, the film for like hundred times and listened cd. I only have to buy the mask now :) Seriously, I'm obsessed. This should be NUMBER 1! Because of phantom I started to love musicals. I saw the show in London with Tabitha Web and David Shannon and it was AMAZING! I also loved the film. I just can't understan why is it at 122 !?! This musical will be popular forever. Some people have no god dam taste. It a fantastic musical reguardless of your obviously biased opinion of Andrew Lloyd Webber. Please move it up! Yes, the longest running Broadway musical is 400th on a list behind things like 'We Will Rock You', 'Jumbo' and 'The Life'. Who paid you to make this list and/or are your ears broken? This should be in the top 5. the person who made this is an IDIOT. Such a unique show!! The music is great and quite difficult to perform. Lots of symbolism. Wow, that does sum it up - bizarre and beautiful. I didn't think I'd like it and I loved it. Bizarre and beautiful all rolled into one. It has about as many great songs as any muscial ever written. My # 2 of all time. It has a great story, beautiful music and lyrics and beautiful choreography. A masterpiece! Second only to West Side Story. Fiddler is one of the 3 best musicals of all time. The songs are memorable, the story is based on what really happened to the Jewish people in Czarest Russia, and the characters are well-developed and profound. in this right now... no way should it be above les mis. it can get soooo boring and long. although this and les mis are the same length, les mis has so many more intresting moments to keep the show going, unlike fiddler. I had a chance to see this shows for the first time last night and really loved it!! The songs are great...lots of humor mixed with the dark side of being an oppressed people. My only complaint is that ACT I is sooo long. AMAZING performance. I love it. I don't know why ANYONE would hate this show. It's FANTASTIC. No one ever does this show so it is hard to rank. This is actually one of my least favorite shows ever. I was part of a poorly done production and I can't seem to shake it. The Music Man is one of the most perfectly constructed musicals in terms of book, score, and story. It has basically no bad line or misplaced lyric. 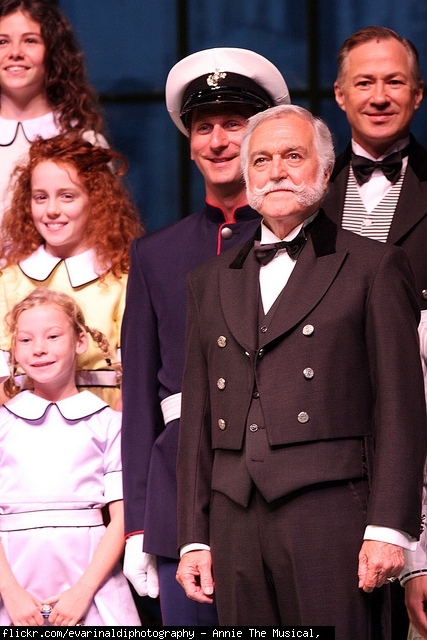 Years ago, I was in a performance of Music Man and found the shows to be just OK. I recently saw the show for the first time as an audience member and found myself really enjoying the show. It moves at a good pace and has some wonderful songs. That was a good misical. i wish I could see it again.... Why isnt Les Miserables in the top 10? My #4 of all time. Saw this with Mary Martin in the starring role. "Climb Every Mountain" was sung by Patricia Neway. What voices! What lyrics! This is a generational favorite thanks to the movie. This musical is by far, THE most classic of all, and who can go wrong with a classic? NO ONE!!! Classic....even "non-musical fans" know songs from this show. "Wizard of Oz" might be the only musical that is more popular. Popularity doesn't necessarily make for a great show - however, I feel the reason this show IS popular is because of how well written it is. This is beyond genius, I think this play is nearly perfect. Rodgers and Hammerstein are genious; this play is a classic all the way. Who DOESNT know the song Doe a Dear? For musical junkies, this is one of the first plays you get to know inside and out. Julie Andrews is phenomenal, this play is well worth it. Great story and memorable songs. 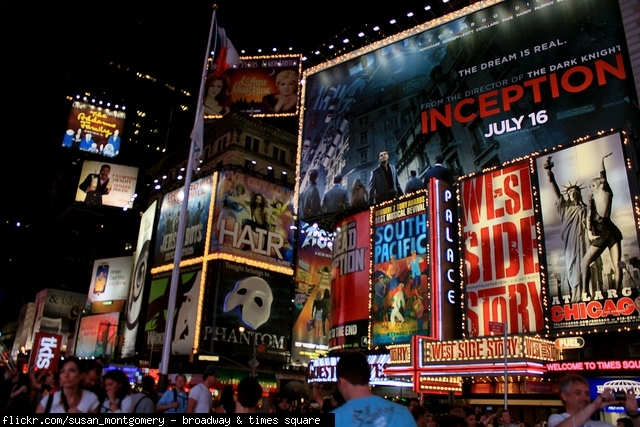 There is no other musical that matches the wit and the magic of Guys and Dolls as the quintessential Broadway musical. The loveable larrikins of Runyon, a score that shames pretenders for all their lack of impact on the memory and the delightful humor of the script leaves one wondering why this masterpiece lingers at number 7 on this list! Agreed. It was hampered by poor early productions, but more recent ones (like London's Menier Chocolate Factory) brought out its subtle genius. This is a musical that will be more and more appreciated over time. The musical play that changed it all. Historically a # 1 but it is my all time #6 favorite. Beautiful score and dancing meshed together. Unforgettable!!! I think this musicle is alright but not amazing. It is deffinetely no Les Mis or Wicked. Tied with "Sound of Music" as Rodgers & Hammerstein's best show. One of Rodgers and Hammerstein's bests. People always have a misconception that it is a "happy-go-lucky" but boy are they wrong. It's a great, profound, musical. Something Broadway never saw before when it first opened. over-rated! worth seeing only the first 5 min.. This has always been one of my favourite musicals. What's more, the orphans are talented and cute at the same time. However, I've always been ticked off at the fact that many people mix up the lyrics to Tomorrow. If I can clear this up, "always" changes to "only" after the Cabinet reprise, and it stays that way for the bows. This show rocks... If it is done well. If the girl playing Annie is good the show is wonderful. If not than the show is not great. Oh, I was Miss Hannigan in this. Absolutely fabulous character to play thanks to Carol Burnett. You probably haven't seen a good production of it. South Pacific has so many good songs and moves along so quickly that the real concern is missing some of the detail. I hope you get to see a really good production of it, like one that has been on Broadway for the past year. Though this show is very well respected, I find it long and slow. Played in it in high school, saw it again last night on Live from Lincoln Center. What other musical has so many wonderful songs or such a still-timely (alas) message about tolerance? 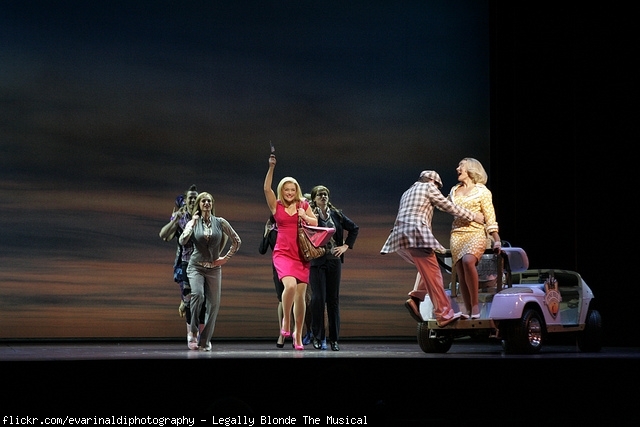 The version on Broadway with Kristin Chenoweth and Sean Hayes is even better than the 1960's version with Jerry Orbach. Neil Simon's book and the music of Burt Bacharach with Hal David's lyrics make it a touching, funny, wonderful show! cheesy but i love it!! The music is great, fits the music, is timely with the script, and is as enjoyable now as it was when it was originally written. that 70's music is so cliche! A great musical show, with great songs, an interesting story, and great humor. I just saw this Saturday night and Kristin Chenoweth is outstanding! She brought the house down twice with her singing and really gets to the heart of the role. Sean Hayes is even better! He was so funny. It was the best theatre experience I have had in years. Very funny and beautiful songs!! This should be WAY higher on the list! The King and I improves with age. I couldn't stand it when I was younger. As I age it moves up my personal list of favorites. My # 5 of all time. Yul Brynner was fantastic and would forever be associated with this role. This has beautiful music and a good story. " Something Wonderful" still brings tears to my eyes. The best ever, when Yul Brenner grabbed Constance Towers and they danced across that stage, there was a collective gasp in the audience, I think all the air was sucked up at one time. Best musical on my list. Songs were original, clever, and entertaining. Smartly intertwined history and amusement. This was not the worst show I've ever seen, that was Sugar Babies, this is the second worst show I've ever seen. This is a great musical. 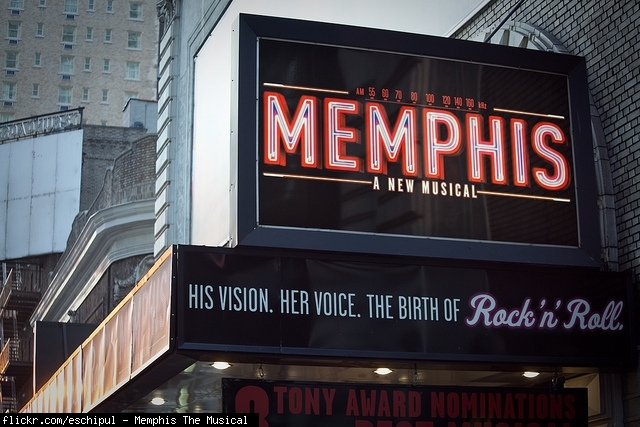 The subject matter is perfect for a musical. It is in depth, with great characters accurately portrayed, with great music and exciting plot. It is excellent. This is one of the great shows of all time. It stays fairly true to the history (although Jefferson had just come from home and had not been away 6 months). Great music, great patriotism, great wit. But it takes incredible singers and actors to pull it off. You must have seen a bad production, because the ones that I have seen have been stirring, exciting, and outstanding! Another seminal musical along with OKLAHOMA. Ol' Man River done spectacularly. Good story, Great score. This is my all time # 7 favorite of Broadway musicals. The most creative and clever musical ever written. Absolutely brilliant, intricate, and philosophical. Honestly, I do like it. It's just that I HATTED the second act. I think they could have done without it. Gosh, I ABSOLUTELY LOVE this musical!!!!!! I am performing as the Mysterious Man in the junior version soon! I love this show and always will ! Had the pleasure of seeing this show for the first time last night at the Univ. of North Carolina School of the Arts!! INCREDIBLE show and performed by a great cast. I love the weaving together of the different fairy tales. I put this show almost neck in neck with "A Funny Thing Happened on the Way to the Forum". Both shows have such beautifully complex songs and a story that keeps you engaged. If you haven't seen it, try to!! I absolutely ADORE this show! It one of the best i've ever seen, ever! It is such an interesting spin on the stories we've been told as kids. The score is masterfully arranged, and the dialogue is the pinnacle of wit. I haven't been charmed so much by any musical ever before. Along with The Mikado and Sweeney Todd this is one of the three best shows of all time! Into the Woods is one of if not the most clever and amazing musicals ever written. I love how it can be extremely funny and extremely sad. Thats rare in musicals. Into the Woods is one of my favorite musicals ever, and in my opnion it is Sondheim's best work. I love the score and it has one of the best books of any musical. And, as a bonus, it had great actors such as Bernadette Peters, Joanna Gleason, Danielle Ferland, and Robert Westenberg. One of my favorite musicals and even if you hate the music, you should respect the deep sadness of the story. personally my favorite musical. bernadette peters was amazing, and the music is soooo unbelievably difficult. We did this musical in highschool and it is great. It definitely has some deep meaning. Not annoying at all (in my opinion). Into the Woods is one of the deepest shows that has ever been written, in my opinion. I might have agreed with you before I got the chance to really SEE the show. But, now that I see all of the power behind it, and all of the deep meaning Sondheim gave us through this show, I would say it's one of my favorites of all time. more annoying, in my opinion. The oft forgotten outstanding musical from the 50's that takes us back to the late 1800's in Britian. In the exciting era of Ragtime, the lives of a wealthy family, a poor immigrant and his motherless daughter, and a black man named Coalhouse Walker, intertwine.Blessed with beauty, ambition, a smashing wardrobe and a social conscience, "Ragtime" is the kind of musical that brings Broadway audiences to their knees in adoration.Based on the 1975 novel by E. L. Doctorow, Ragtime tells the story of three groups in America, represented by Coalhouse Walker Jr., a Harlem musician; Mother, the matriarch of a WASP family in New Rochelle, NY; and Tateh, a Latvian Jewish immigrant. Historical figures such as Houdini, Evelyn Nesbit, Booker T. Washington, J. P. Morgan, Henry Ford, Stanford White, Harry Kendall Thaw, Admiral Peary, Matthew Henson, and Emma Goldman also appear. The music includes marches, cakewalks, gospel and ragtime. This is one of the Best Musicals ever - No dry eye in the theater. The score is Amazing -The story in heartfelt and thought provoking . They need to make a film version of this show-and give it to schools across the nation. Saw this years ago! Beautiful music. Beautiful story. Historically interesting. Just a great show all around. I wish they would bring it back!! This is just how a musical is suppose to be. Great storyline, witty songs, clever composition.. and very minimal dances... One of the absolute best! 49 isn't bad. Not out of the top 400 Broadway musicals of all time. It is a great show, but only one showstopper, "Send in the Clowns." But then again, Sondheim is known more for good, but complicated, music, rather than showstoppers. 49? That's crazy. A Little Night Music is one of the best musicals I've ever seen. Of course, with Bernadette Peters and Elaine Strich, it really is a PLUS. But WOW, that musical is wonderful. The movie was fun, but it was a watered down version of the movie. My favorite Bernstein score! And he had so many great scores! Brilliant, superb musical. My cast LOVED every minute of it, the pit orchestra LOVED every song..#1 best comedy/musical, ever. Bob Martin rocks! Won 5 Tony Awards, that's how good it is. Excellent show. WAY underrated. This show is incredible. Intelligent and witty, it offers great characters and a fun journey through the origins of the Broadway show. Good songs (considering the premise). The book is even better. I can't believe Anything Goes is rated so low. I'd have no hesitation in seeing this show again. It's great, clean,fun family entertainment. If there's one musical I'd like to see again, this is it! Anything Goes should be in the top 5. Classic musical to judge others by. Great tunes, dance and humour. You're the top! THIS SHOULD BE I TOP 3 WITH PHANTOM AND LES MIS! SUTTON FOSTER AND PATTI LUPONE ARE JUST PHENOMENAL! ANYTHING GOES IS FUNNY, HAS GREAT DANCE NUMBERS AND MUSIC AND GOOD STORY LINE! IVE SEEN THIS SHOW ABOUT 32 TIMES AND I LOVE IT EVERY TIME! BEST MUSICAL EEVVVVEEEERRR!!!!! Sutton Foster!!!!!! I love this musical. The songs are great (especially Anything Goes), the dance numbers are great, and the comedic bits make me laugh every time I see it. one great song after another: from Big Spender to If My Friends Could See Me Now. not a clunker in the bunch. A terrific score. As politicians become weirder this story makes more scenes. Like most Gershwin musicals, the album is better than any single performance. The story of Evita is interesting. This musical is not. Many songs sound like ALW just hit a bunch of random notes. One of ALW's Smartest scores! Brilliant songs and smart use of leitmotif. Love the belting and Rice's intelligent lyrics. I have mixed feeling about this show. I felt like it had several holes in the storytelling. Some nice songs but I don't feel it ranks with Andrew Lloyd Webber's best. Karen Carpenter sang a better version of Don't Cry For me Argentina. Ugh I hate this musical. Maddona? Really. A circus on the stage with Cy Coleman's music that brings P.T. Barnum back to life. I'm doing this show in my school!!!! i luv the plot. The music is so creative and addictive. This should def be ranked higher! Another one of the best shows ever, that's tragically underrated. Tis show should definitely be in the top ten. The music in this is amazing, and the plot line is different than any other musical! If people don't understand the comical story and the meaningful one, then they are blind. this should be in the top ten. ts the best musical ive ever seen. Little shop of Horrors should be higher then spot 179. This musical combines the humor and raw sadness that every great musical should give. I'm not saying its the best musical ever, but way higher then 179. Should be higher. This is the funniest musical ever! I've done this show. What an embarrassment. Maybe THE perfect musical. There are no dragging scenes......each song is great...the last 15 minutes are insane!! With that score, this one should be in the top 20! I was lucky enough to see Angela Lansburry on Broadway when she redid this in 1983-WOW-move over Lucy Ball (who was horrible in the movie) I love this show. But who is cast in the title roll will make or break this show . I have seen this at opera houses, at Lincoln Center, at two Broadway theaters and saw the movie with Poitier and Dandridge. This is a masterpiece. It is opera, an American opera, but a Broadway musical too. It is my all time #8 favorite. BRILLIANT!!!!!!!!!!!!! Musical Theatre came from Opera. They evolved from Operettas that were more light hearted and shorter than regular Operas but Opera all the same. Musical Theatre and Opera are close relatives and so, yes, Musical Theatre did come from Opera. The logic does work. Opera is musical theatre. There are many crossovers. Technically, Les Mis, Jesus Christ Superstar, and Tommy are operas (the last two rock operas), but are accepted as musical theatre as well. Porgy and Bess is one of Gershwin's best. It has played in opera houses, but also in Broadway theatres. It is an amazing show. This is an opera, not a musical. Heh, I think you mean SPAM-alot. Monty-Python ftw! The original broadway cast is phenomenal. In additon to Mr. Goulet, Richard Burton, Julie Andrews and Roddy McDowell put this awesome musical through the roof! This needs to be way higher. I agree with the opinion that it should be top 10. The characters are masterfully developed through a score whose dissonances so poignantly convey the tragedy of the work itself as a whole. Beautiful in every sense of the word. Personally, this is probably my 3rd or 4th favorite show. Sondheim's best by a mile - an absolute masterpiece. Should be top 10 at least. come on people! this show should be in the top 20 at the very least. Should be waaaay higher than it is now. Critics praise it, opera companies perform it, and I think its the greatest musical. A unique blend of symphonic sound,high theatrics,dark pathos and gruesome humor,it stands alone and above almost all others. Its company is Gershwin and Bernstein ...and should not be floating down here with ABBA on this crap list. Serious music lovers should cherish this. Plebeians, enjoy your Les Miserables. A masterpiece. A hauntingly beautiful (and terribly difficult) score,and melodramtic gore fest,make this operatic show an almost singular experience on Broadway. Its low rank here shows how ignorant the publics taste is when something like Cats rats higher. Popular does not always,if ever,mean superior. Beautiful songs and engaging story! WHAT IS IT DOING DOWN HERE???! This should absolutely be in first place! IT IS ABSOLUTELY THE GREATEST MUSICAL OF ALL TIME!!!!!!!!! I enjoyed it...i suppose it is unconventional which makes people nervous. WHAT IS THIS DOING IN LAST PLACE BLASPHEMY!!! This was the worst musical I have ever seen. After seeing this I decided I actually don't like Tim Burton very much eather because a lot of the movies he directs are actually really bad. What are they going to make next, The Donner Party - the Musical? This is the worst musical I've ever seen. Macabre, morbid, gross, without redeeming qualities. I love Sondheim's musicals, except this one. Gruesome, disgusting, and terrible theatre. Sondheim's worst ever. Sheer genius, beginning to end. Running for 18 years on Broadway, this musical by Andrew Lloyd Webber is based on Old Possum’s Book of Practical Cats by T S Elliot. Saying this show has no plot is like reading a collection of short stories as if it were a novel and saying there is no continuity. This show is a collection of short stories. Stories about each individual cat and their personalities. Cats is the greatest musical of all time. It shows the wide range of human emotion, weakness, humor and youth through cats. The choreography is spectacular, and the songs are transcendental. Memory, considered the best song in the musical, is one of the greatest achievements in music of all time. It makes me cry every time I hear it. There is indeed a plot, but unlike most musicals it takes personal experiences and different interpretations to show that plot. Anyone who posts negatively about Cats lacks knowledge of the deepness of human emotion, socialization, heartbreak and hope. even though there is barely a plot here, it's not about that, cats is about symbolism and every cat that comes and introduces himself is a symbol for some kind of person (old actor, old lady, ladiesman, aristocrat..) i understand why some people might hate, but it's still a great show, despite it's strangeness and has some great songs and great dancing as well!!! Like cats, themselves, people seem to love or hate this show. Personally, I think it is a great show. Yes...it is unconventional in numerous ways. Those who say there is no story or plot are not watching close enough. There is both a story and a plot....it's just not spoon-fed to you like many shows. left at intermission; never regretted it. Sure it has a plot! My favourite musical ever and it should be higher on this list. this is one of the musicals that teach us that if you have enough money for production, you don't need any talent... i remember when i saw it i just kept asking myself where the hell is the plot?!?! the only reason that it running so long is just because people like colorful things jumping infront of them. This musical has so amazing songs. I just can't stop siging memory to myself. It should be in top ten! I watched the film and I was astonishment about dancing and costumes and singing. I love cats. i agree, it has barely any plot. but plot alone doesn't make a hit. What makes this Musical a classic is just that. THE MUSIC. go up to any drama student, or actor and tell them to name one song from Cats and you will most likely get one. It is a spectacle of cats, but with no plot and not that interesting. Entertaining to the masses, but not art. This show has no plot. At all. not much to it. There are cats. lots of cats. One of my favorites! Definitely, in my top 5. The all time worst play ever! Infuriating every time I think about suffering through watching this. Even better than the second Candide on this list! Andrew Lloyd Webber's first was one of his best! The catchiest, funnest songs, of all different styles. Fantastic show and music. Great songs and the show moves so quickly. I believe the whole show is only over one hour - that is fast!! I love all the different genres of music used - country, boogie woogie, calypso, etc. I just found this show to be very boring. Should be in the top 20, at least! This is classic and heartbreaking. The songs are haunting. It is for mature souls who understand the frailty of life and memory and the puzzle of destiny. I can't stop listening to it. This is the best musical ever written. It tackles some of the most important themes in American theater and has such a strong emotional impact. Thank You Mel Brooks for bringing laughter back to the theaters and to Musicals in general. When you have Nathan Lane and Matthew Broderick, it's automatically good, and it won more tony's than any other show in history. Great music and totally hilarious. This was a really great musical, it is a shame that ALW changed the original storyline to make some fans happy. The music is amazing and is recurring on my Ipod. Love it so much. Shame it has gone away. Personally I love this musical. It absolutely should have come to Broadway. It was going to until ALW was diagnosed with prostrate cancer. Then things got postponed... and damn no musical. Its such a shame it went off West End. Hopefully one day it will come back, unfortunately I do not see that in the near future. What a magnificent score. Why is this on the list for BROADWAY musicals its never been to BROADWAY and its already closed in London so apparently it wasn't all that great. Groundbreaking, won a Pulitzer Prize. Profoundly beautiful, when produced well. Probably not higher-ranked because it's rarely performed. This with Follies is my favorite Sondheim musical. It makes the spirit soar. It is a paean to ART and to the nitty gritty of the process involved in reaching those heights.. But at its core this musical is about the sublime, and the melodies bring you there. The lyrical phrasing and just plain badassery of this show blows my mind. Sondheim's best by far. the story was nice, other than that i couldn't find on good thing in this musical, it was long, boring, "putting it together" was nice, too bad you have to wait an hour and a half to get to it! Ben Vereen's was outstanding in Stephen Schwarz follow-up to Godspell. It will make you think. The movie wasn't that good. But on stage, it's fantastic! I have not had the pleasure of seeing this show on stage. I really loved the film version. The songs are great. 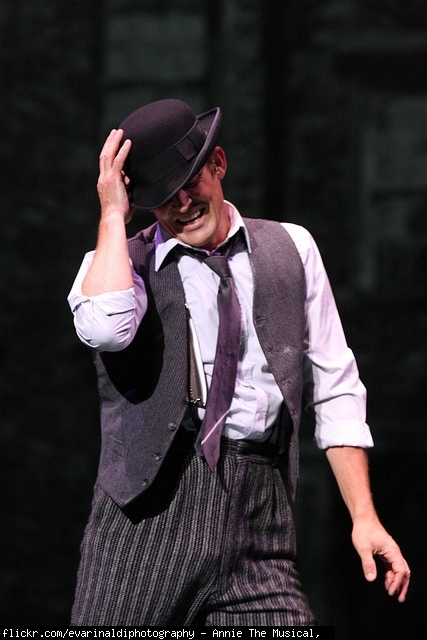 The Impossible Dream might be the most stirring and inspiring song ever in a Broadway musical! The rest of the musical is excellent, but The Impossible Dream is possibly the all time showstopper. 76... What this definetely belongs in the top ten! it is soooooo amazing! I love story, songs and dance. All together makes a great show and fantastic experience! It should be in top ten. Never seen it, should I? What the heck is this doing all the way down here. It is one of the most perfect little musicals ever done. Great score! I have such a huge love for this show. I played Sally in a performance and it was the funnest show to see and be in. It really makes you feel like a kid again but I would never, ever classify it as a children's musical. There are so many messages in it that they learned as children but forgot by the time they grew up, so many ways of thinking. I cannot say enough good things about this show. Should, at least, be in the top 20! BEST MUSICAL EVER SHOULD BE NUMBER 1!!!!!!!!!!!!!!!!!!!!!!!!!!!!!!!!!!!!!!!!!! BEST MUSIC AND SOOO FUNNY!!!!!! Funny and entertaining take on prejudice..be it racial or overweight people. The tunes are very good and it is one of those shows that leaves you very energized. WHAT!!!!!! Are You Crazy!!! This should be like #1!!!!! A Hilarious show! I love the music, characters, and story so much, I guess its held back a bit by mostly just being a poorly done high school show, but it is really underrated. My favorite Andrew Lloyd Webber show. I was actively involved the whole show - no unnecessary scenes. Jesus' song in garden of Gethsemane is one of my favorite songs from any show. definitely should be way closer to the top, one of the greatest shows ever! This should be in the top ten!! It humanizes Christ more than anything an makes us apreciate Him more! This is really a great show, it's funny, lovable, and has an amazing score. Sutton Foster does a beautiful job in the revival, and of course Julie Andrews is quite good in the movie (but in my opinion it pales compared to the stage show, as most shows do). It does have a few weak numbers so I can accept it being all the way down here. Christine Ebersole proved she was an actress to reckon with in this musical. Her rendition of "Around the World" makes me cry everytime! Cast album highly recommended. Rodgers & Hart's 1937 hit starring Alfred Drake and the Nicholas Brothers included hit songs, "My Funny Valentine," "Where or When," "Johnny One Note," and "The Lady is a Tramp." Rogers and Hammersteins best. Subtle and moving, the lyrics and music evoke character and plot, exemplifying the artistic power of musical theatre. One of the top 10 musicals of all time. Richard Rodgers said it was his favorite musical score.If I love you was his best song ever. Give me a break about domestic violence. calm down. This show dealt with real issues -the same as Rent-South Pacific-Ragtime-and many many other shows.They were the first team to bring current issues to the forefront or the audiences minds . Horrible, terribly dated show - glamorizes domestic violence in the worst way. Just download "You'll Never Walk Alone" and get a restraining order against this thug of a show. Why isn't this ranked higher? Best musical ever! this is also a good musical from Richard rodgers you will learn a lot of values in this musical the , and it will make you cry especially on the song "YOU'LL NEVER WALK ALONE"
I just did this show at a summer camp called Interlochen last year. Without a doubt, it was the most magical and beautifully moving experiences of my lifetime. An astronomically phoenomenal show, that is really underappreciated if taken at a glance. This is a gorgeous musical with a STUNNING musical score. Victoria Clark is a revelation in the lead role(channels Julie Andrews at times). Check out the PBS broadcast of the full show on youtube and see for yourself. My # 9 favorite of all time. I saw Streisand in it 7 times. I remember saying the first time I saw it that she was born to play this role. Good story, excellent songs. I saw Mimi Hines in it when Barbra left the show. Not the same but the songs were still great. This should be in the top 10. One of THE BEST!!! Victor Herbert's 1903 Broadway hit that included "March of the Toys." How can you go wrong with a show full of Gershwin tunes? GREAT SHOW!!! I LOVE IT!!! Who ever hates this show, 'You don't got rhythm'. I love this musical! The dancing is so entertaining, and "Someone to Watch Over Me and "I Got Rhythm" are classics. You can go wrong when it has one of the worst books ever written, that's how. Glenn Close was outstanding. Not only could she sing-But her acting was breath taking. I sat 4 row center opening week when it premiered in Los Angels .The music is wonderful-the story is top notch - Please film this -With Glenn Close. Glen Close was awesome and the set!!! Saw the original on Broadway.....just GREAT. Connected with the songs and spirit. I even enjoyed the humor of Frank Mills. The talents of Lauren Bacall and Bonnie Franklin on the same stage - what fun! Seriously?! 61! The lead actress was so good! This musical should be one of the top 10. This is just shocking!!! I love miss Saigon along side Les Miz and Crazy for you... This must be a mistake!!!! This musical should be on TOP 10!!! I really enjoy this show, Good songs and dances. The one negative is that it is a long show and can be a drag if scene changes take too long. Other than that, it is alot of fun! 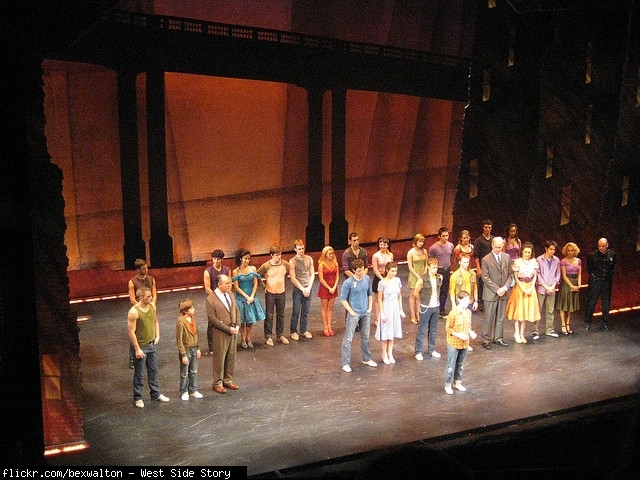 Tony Award for Best Musical 2009. Should at least be in the top 50. Billy Elliot The Musical is a complex show that requires knowledge of British labor history.The Geordie accent(northern England) also requires the audience to pay attention. But if you read up on the coal miners strike of 1984 and listen to the dialog, this show can be one of the best and most inspiring shows that you will ever see. Take Grandma, take the kids. Everyone will be moved and entertained. I've seen most of the musicals listed here and most of them were incredible, however "Billy Elliot" is superior in all aspects. The dancing, music, story and entertainment value are extraordinary. You laugh, cry, cheer and feel thoroughly entertained in the end. As time goes by and more people experience this musical, it will move up the list--deservedly so! I didn't find the story to be very interesting. I have to say that when I saw this musical, I was bored through most of it, The only thing that I really enjoyed was the great duet, "Lily's Eyes" - that is a great song. I currently have the honor to be in this show. I have been rehearsing it for months. Still, it reduces me to tears every night. The single most beautiful show I have ever witnessed. I love it with all my heart. I love this show! It should be ranked higher. Why is this so low? This is the most beautiful musical ever written. Arguably Berstein's best score, although much less well known than West Side Story. Convoluted (but funny) plot. Difficult to perform. Rodgers & Hart's 1937 hit starred George M. Cohan as President Franklin Roosevelt, singing and dancing. Titanic, a new musical, is the most fantastic and most beautiful show I have ever had the privilege of being a part of. it is not a movical! listen to the score, it will move you to tears. you can really see and hear the stories of the people who boarded the most famous ship in history and their treacherous journey to survive or their unfortunate deaths. I saw it in Los Angles -twice . This came out 3 years before the movie-It won the Tony for best musical that year.Amazing staging -the tipping of the set at the end was memorable- VERY SAD-The score is beautiful.WONDERFUL NIGHT AT THE THEATER. Titanic is a musical - and I loved it. The songs are excellent, especially Barrett's Song and just about anything sung by Thomas Andrews. George M. Cohan's 1906 Broadway hit that introduced the world to "Mary's a Grand Old Name"
I will be very happy when this surpasses Mamma Mia. I loved this show-I saw it with a London Audience -where it ran for 3 years. New York was only 11 weeks. The CAR FLYING WAS AMAZING. It flew over my head.The new music enchanting. the 100 dogs running on stage was very cute-And Truly Scrumptious blowing away the child catcher with a huge hunting riffle was hilarious. Wonderful music from the Sherman Brother-Same team from Mary Poppins.- Michael Ball made a great Professor Potts .The show is funny and just was an enjoyable night out at the theater. Use arrows to rank one item in Best Broadway Musicals of All Time vs another.